A chance meeting in a restaurant, a love of country music and good drinks was the start of Joedy and Brittney's romance. 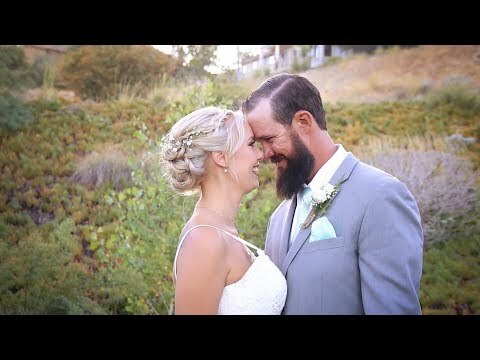 After spending time learning how to be there for each other even in a long distance relationship, they got engaged and committed their lives together at Eagle Glen Golf Club in Corona, CA. It was a perfect early fall day in Southern California. Brittney’s wedding details and blush dress was perfect for a princess, and Joedy cleaned up nicely with a suit and sneakers. Their ceremony was made extra special by being officiated by Brittney’s grandmother, in a ceremony written years ago by her grandfather. The couple shared their first prayer together and tied their hands as a symbol of their bond as the rays of the sunset spread across the beautiful hills and valley. 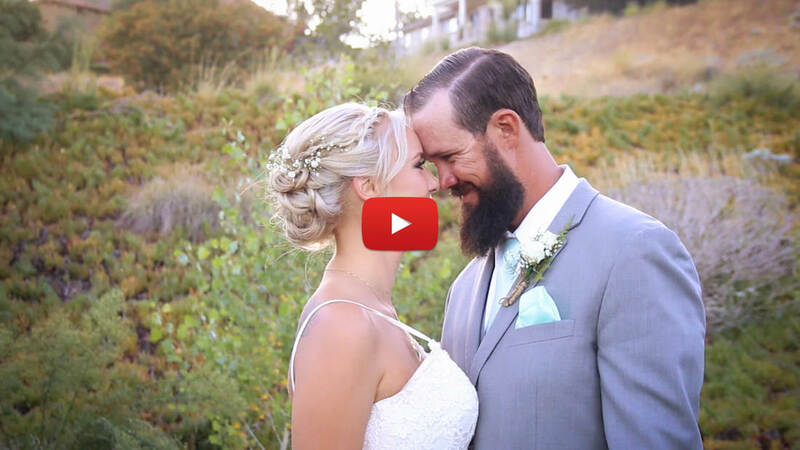 The sun flares perfectly draped their first kiss as husband and wife. After the ceremony, some gorgeous images and video clips of the family and bridal party were taken. Then it was off to the reception! Good old fashioned comfort food and beer for the guests to enjoy as country music played. Family member’s toasted and gave speeches of advice and well wishes. The end of the night was filled with dancing and enjoying a special multi flavored wedding cake. Congratulations Joedy and Brittney! Always look at each other with that special glimmer in your eye for the one you love! "Why do I even need a wedding video?"